The party members who lived outside the German Reich were pooled in this special NSDAP department. 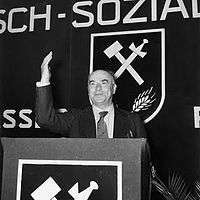 On May 1, 1931 the new organizational unit was founded on the initiative of Reich Organization Leader (German: Reichsorganisationsleiter) Gregor Strasser and its management was assigned to Dr. Hans Nieland. 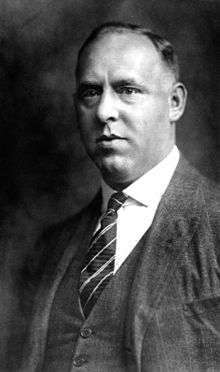 But Nieland resigned from office on May 8, 1933, because he had become head of the Hamburg police authority, and later, a member of the Hamburg provincial government, whereupon Ernst Wilhelm Bohle was appointed director of the "AO", which served as the 43rd and only non-territorial Gau of the NSDAP. Only actual citizens of the German Reich – (German: Reichsdeutsche) – with a German passport could become members of the AO. 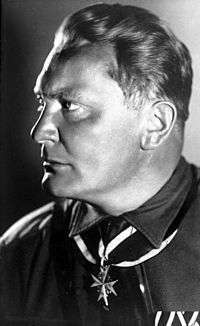 Persons of German descent, so called ethnic Germans (German: Volksdeutsche), who possessed the nationality of the country in which they lived, were refused entry to the Nazi Party. NSDAP/AO had a Landesgruppe Schweden. 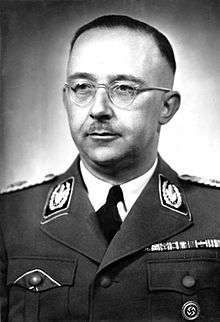 During the first years of World War II it was led by W. Stengel, but the leadership was later taken over by the German diplomat Heinz Gossmann. There were several Ortsgruppen in different parts of Sweden, such as Gothenburg, Borås, etc. ↑ Kjellberg, Georg K:son (1946). Den tyska propagandan i Sverige under krigsåren 1939-1945 [The German propaganda in Sweden during the war years 1939-1945]. Statens offentliga utredningar, 0375-250X ; 1946:86 (in Swedish). Stockholm. p. 10.